The New York Mutuals Old Bethpage Village Restoration14th Annual Base Ball Festival. 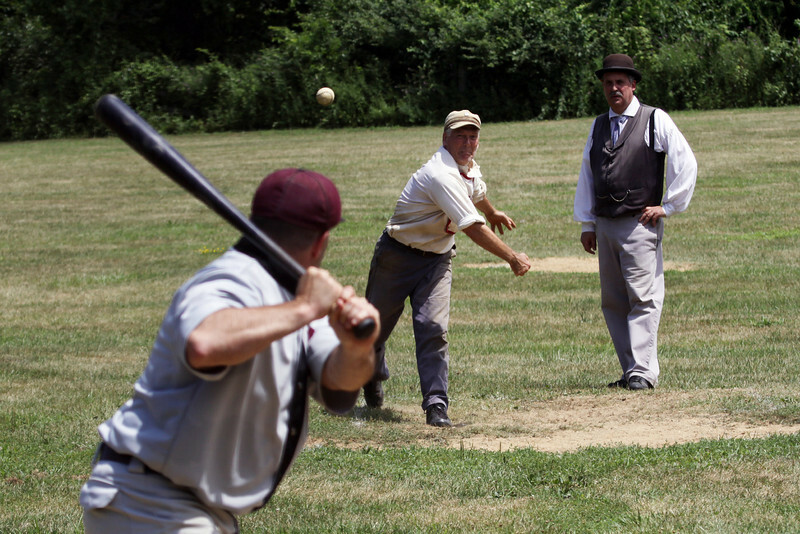 The Old Time Base Ball festival was created to celebrate Base Ball as it was played in the 19th Century. It is the only one of its kind in that you can walk from field to field and see the evolution of the game. This year's festival has 12 teams from 5 different states playing by the rules ranging from 1860 -1890. The photo's in the gallery were taken on day two of the festival Saturday July 31, 2011.